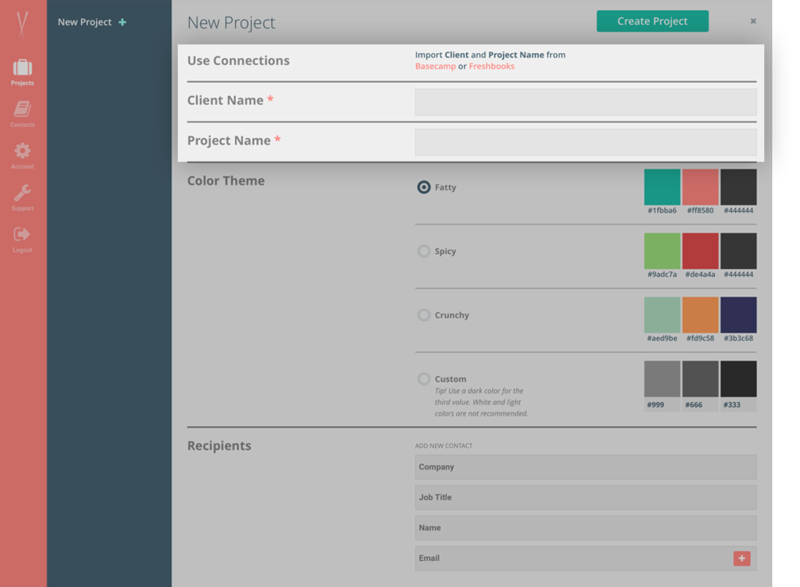 Add your client and project name in the project settings, or import with Basecamp or Freshbooks integration. Upload your company logo to be used across all status reports, or upload a client logo to their specific report and make them feel special. 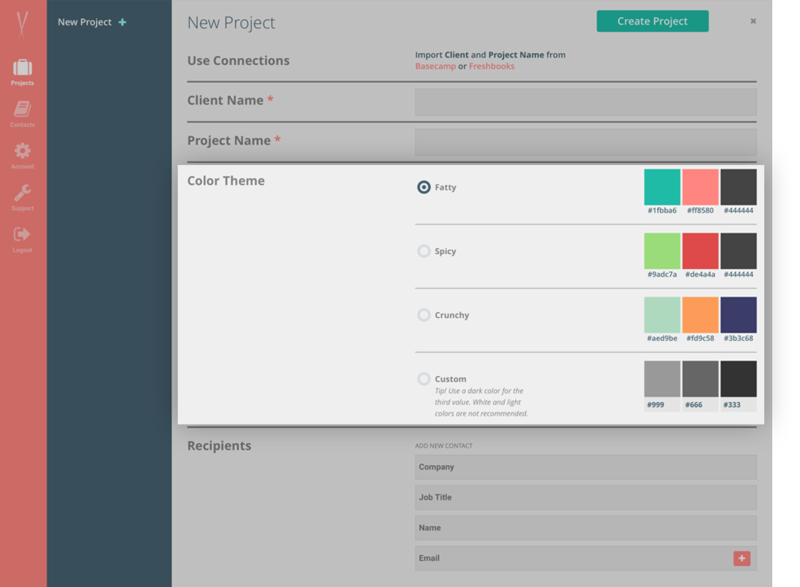 Choose from different color themes, or grab your brands hex codes and create your own. Build your Sushi Status report! 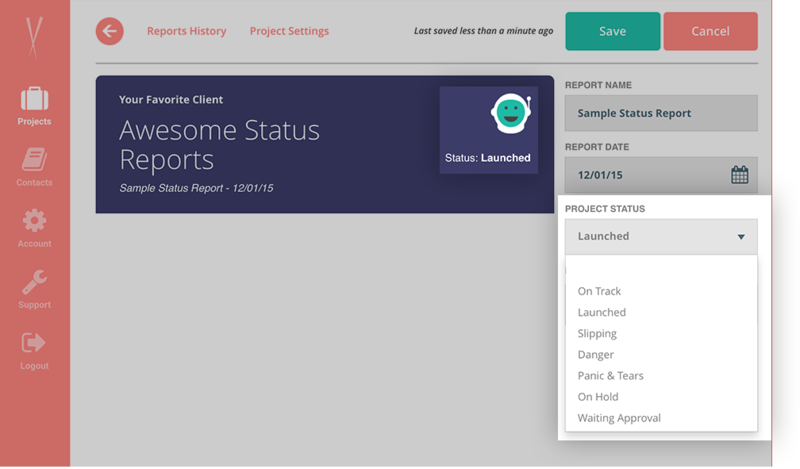 Report Name, Report Date, and Status are easy to edit for an at-a-glance glimpse of the project status. 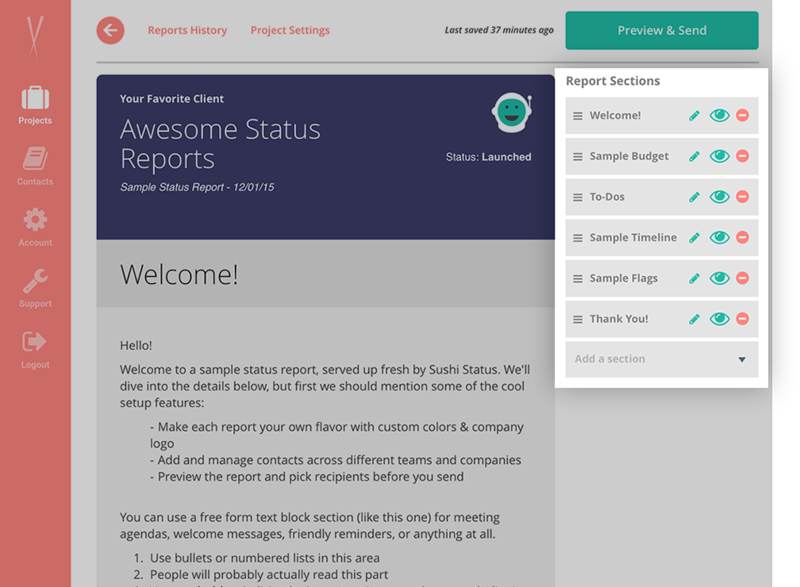 With our easy to use sections, you can add all the info you need to express your project’s status. 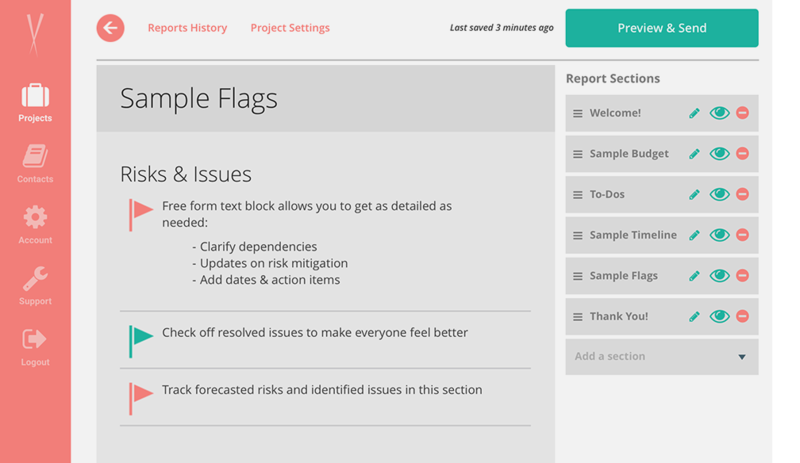 Section types include: text block, budget, timeline, flags and to do lists. 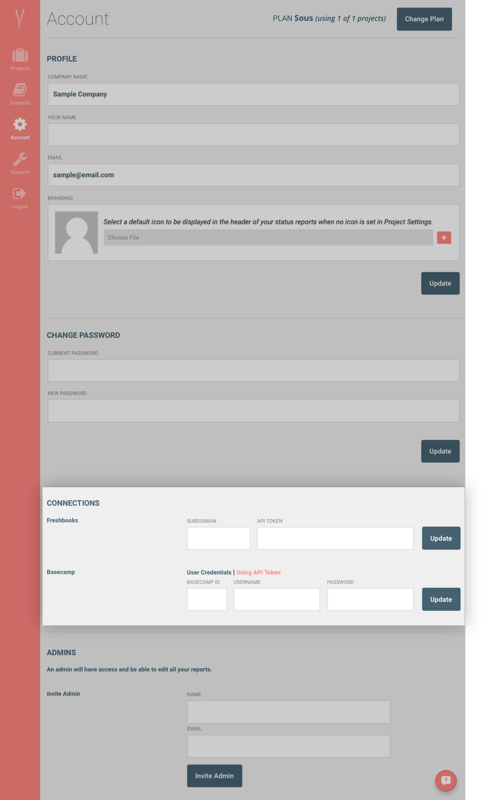 Add a greeting, update or even a meeting agenda using our WYSIWYG text blocks. Update your actual hours against the budget and watch the circles and seesaw grow! Use only the pieces that you need: cost, hours, seesaw and percentage are all optional. Scope changes happen and Sushi Status makes it easy to reflect additions. Who doesn’t love a good list? Update tasks and check things off the to do list for the week. 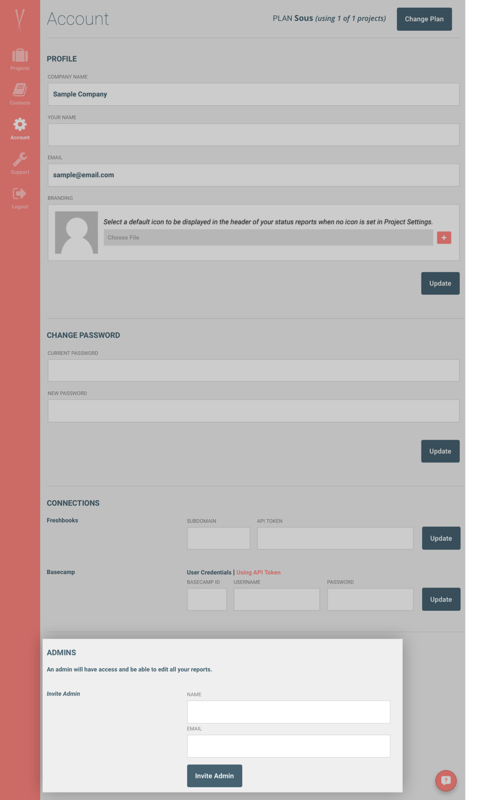 Also integrates with Basecamp! 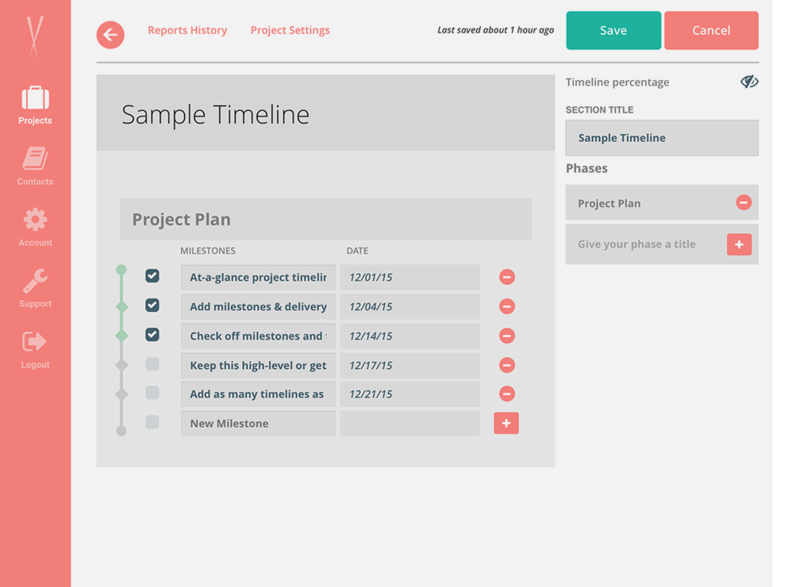 Sushi Status makes it easy to convey milestones and progress with our timeline section. Draw attention to potential risks and resolved issues in the Flags section. Scan over a preview of your report before you send. Each report is sent directly to a recipient’s inbox - no sign in required to view! 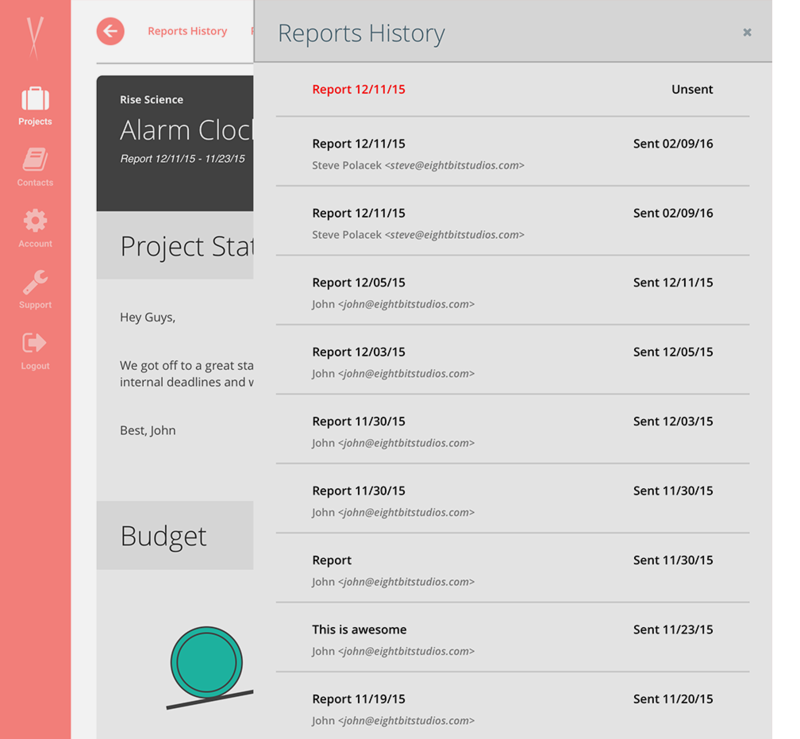 Add contacts to your list and select who the report should be sent to. Share the love and add users to your account. 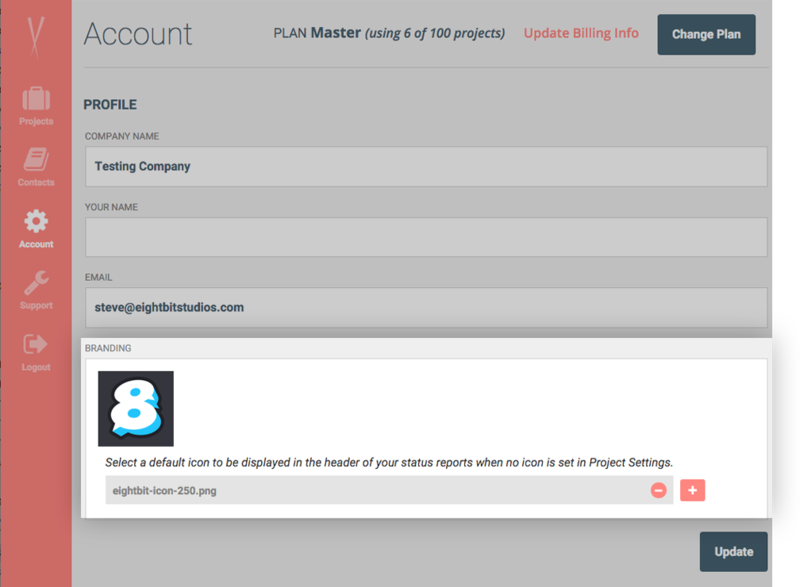 Users can edit, view, and send any reports you create. 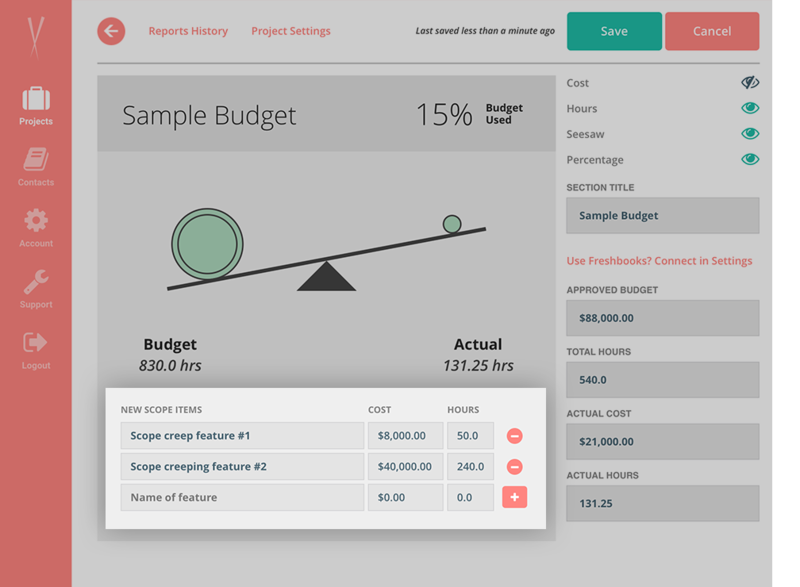 Maybe you need one report for the client with budget, but don’t want the internal report to your team to show that. Not a problem! Hide and unhide report sections as needed. We keep track of all previously sent reports, who they were sent to, and when they were sent. Click into a past report for easy referencing. 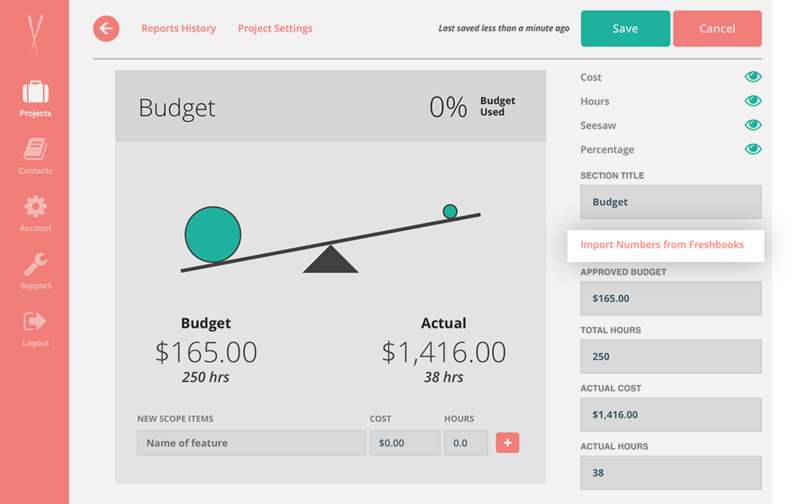 We have integrated with Freshbooks to access project names, budgets, and hours. You can hook up the Freshbooks API under your Account settings. 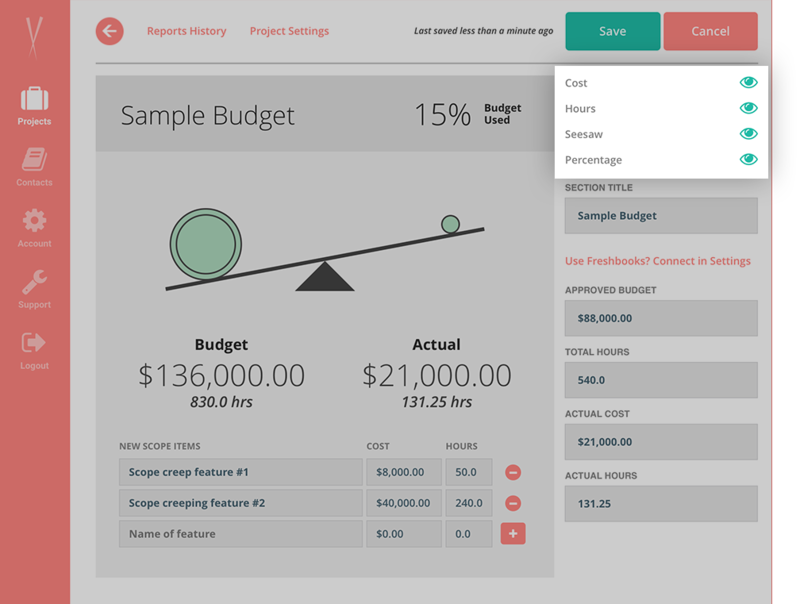 Use this to pull in the client and project name when starting a new project, or to pull in updated cost/hours each time you update the budget. 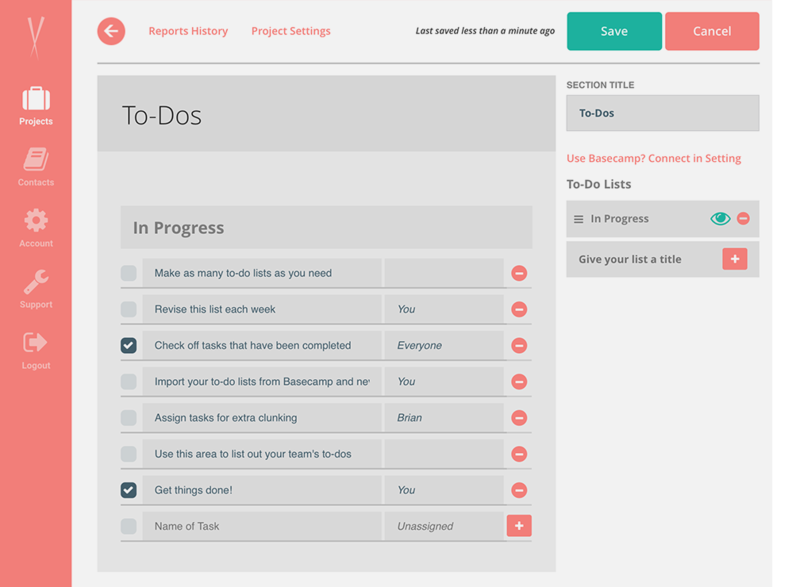 We have integrated with Basecamp to access your project To-Do lists. You can connect with your Basecamp user credentials or API token. In a to-do list section, click the ‘import’ button to pull in lists as needed. Any updates made in Sushi Status will not be shown in Basecamp.